Robot Monitoring Suite is a Remote Teach Pendant system developped for NACHI and OTC-DAIHEN AX and FD robot controller. It allows you to monitor, control, program, and troubleshoot your robot cell from your desktop PC over the Internet. You can use the Robot Monitoring Suite Desktop Client Application to see the Teach Pendant's screen, pressed buttons and touchscreen taps in real time, and also you can observe your robot cell with video cameras. You can control the Teach Pendant by using the on-screen Teach Pendant buttons or mouseclicks. The Desktop Client Application can handle robots on the Local Area Network, or go online, and handle any robots connected to one or the Robot Monitoring Suite Black Boxes. The optional Robot Monitoring Suite Black Box is required if you want to access your Teach Pendant from anywhere on the Internet. It takes only 5 minutes to integrate the Black Box into your robot cell, and to connect it to the Robot Monitoring Suite services. The Black Box can go online using mobile broadband (GSM), or wired (LAN) connection, while keeping the robot controller securely isolated from the public Internet. Upon a robot error, the Black Box will automatically trigger a video capture, and store it to be replayed later on to help troubleshooting. 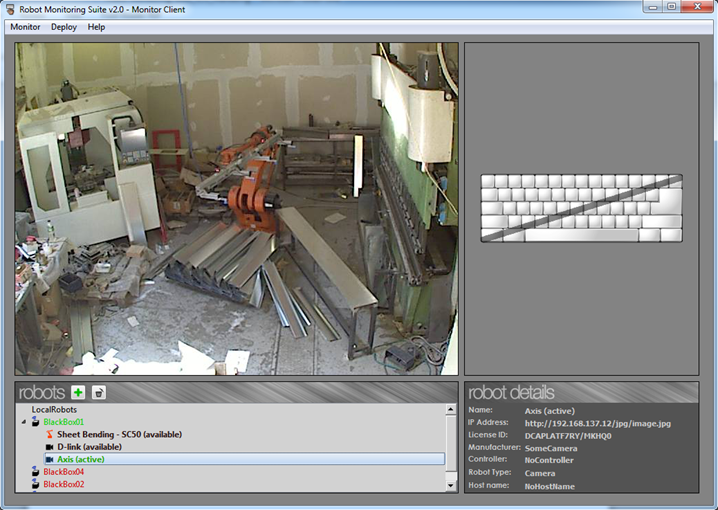 The Robot Monitoring Suite has been tested by baseClass Automation Ltd. in NACHI Europe GmbH and OTC-DAIHEN Europe GmbH. Robot experts can program, configure, troubleshoot robots from their office PC or laptop, which can replace costly and time consuming on-site activities, and result in quick problem solving. Use your PC to write and edit your robot programs directly on the Teach Pendant. This way you can avoid massive file trasnfers to and from the robot controller. You can forget the timely process of using the cursor keys and touchscreen to select characters on the teach pendant when writing program comments or other text. 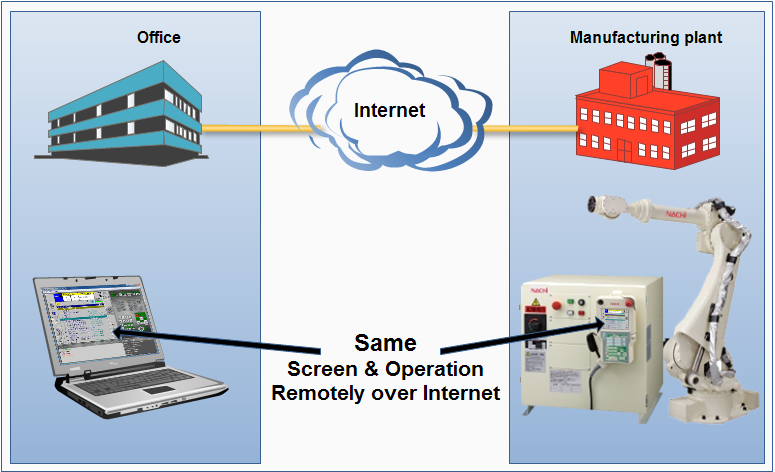 With Remote Monitoring Suite you can simply do this directly from your PC keyboard. With the integrated video surveillance service you can see the robot cell by up to 4 cameras in real time. 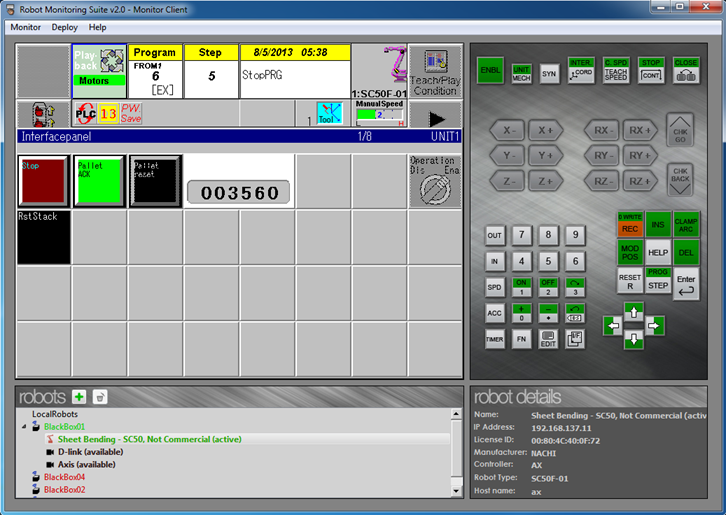 It takes only 5 minutes to install the Robot Monitoring Suite on your PC and a robot controller. The Black Box provides an easy and secure connection of robot controllers to Robot Monitoring Sutie services. It is fully preconfigured, out of the box solution. You can however use Robot Monitoring Suite without a Black Box, with some limitations. Should an error occur on the robot, the Black Box triggers a video capture, and you can replay it later on. This gives an insight to what caused the error, beyond the information held by error messages and log files. The Black Box can go online using either mobile broadband (GSM) or wired (LAN) connection. This brings the Robot Monitoring Suite solution available at locations where the lack of wired Internet or strict IT policies cause problems.